Standard hot cold pack (Stero) Put in the freezer or microwave for hot/cold effect Ideal for use on a sports injury to help reduce the pain. Standard hot cold pack (Stero) Put in the freezer or microwave for hot/cold effect Ideal for use on a sports injury to help reduce the pain. 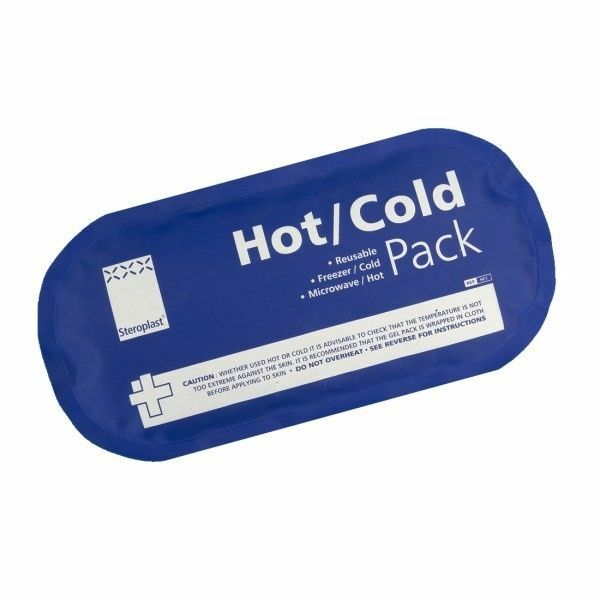 If a cold pack is used this will aid in reducing the swelling whereas if a hot pack is used this will assist in increasing circulation to the injured area.